Top most pirated movies of 2011 ~ Download Everything You Need ! Recently a statistics was done by famous news website TorrentFreak which give us an idea about the most pirated movies of the year 2011. 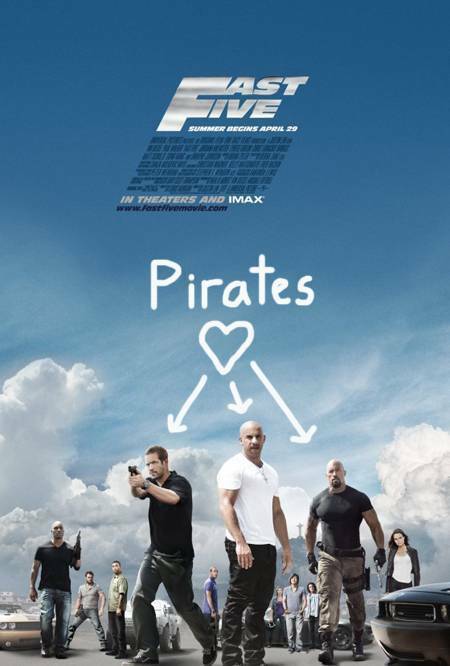 According to the website- Fast Five, the fifth film of Fast & Furious series, was the most pirated film of the year with 9.3 million downloads by BitTorrent. 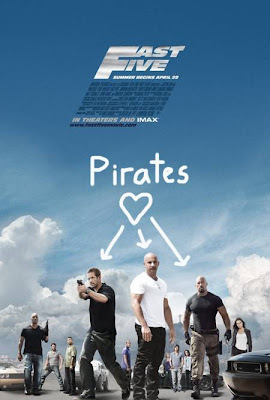 For this high piracy Fast Five earned about $US626 million at the box office and only ranked in the sixth position in overall ticket sales. The second and the third position was given to Hangover II and Thor respectively. Hangover II was downloaded 8.84 million and Thor was 8.33 million times. Source Code with 7.91 million was followed by I Am Number Four with 7.67 million illegal download rounded the top five list. As the same time box office revenue and ticket sales also decreases in 2011 than the previous year. Total 1.24 billion tickets were purchased by the moviegoers which was 1.33 billion in 2010, and revenue form ticket sales also declines to $9.9 billion form $10.46 billion. Meanwhile, Harry Potter and the Deathly Hallows earned most in the box office with $US1.3 billion worldwide which was only ranked at 10 in pirated download (6 million). However the second and third top earners at box office are Transformer: The Dark Of The Moon and Twilight Saga: Breaking Dawn.